You Are Here: Home > Download Your FREE Buyer’s Guide to MINI Clubman Models eBook Today! 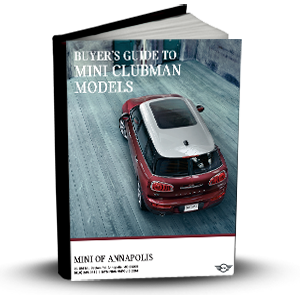 Download Your FREE Buyer’s Guide to MINI Clubman Models eBook Today! 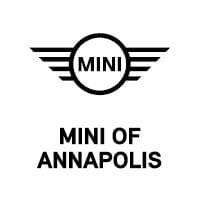 The MINI Clubman is a sophisticated and versatile compact car for drives around Annapolis, Highland Beach, and Hillsmere Shores. But is it best for you and your needs? Its exterior design, like the unique six doors. The interior that’s spacious enough for passengers and cargo. An impressive performance with different driving modes. Technology features to enjoy your drives. Options to help get to your destination safely. Not only will you get an extensive look at the Clubman, but you’ll also get money-saving offers to go toward a MINI Cooper at our dealership in Annapolis. By reading this eBook, you’ll be able to make an informed decision on which trim level you’d like to test drive. When you’re ready to begin your vehicle research, simply fill out the form on this page and download your FREE Buyer’s Guide to MINI Clubman Models eBook. You can get started today!